2018 Gibson ICE FLAME Custom Shop Les Paul ULTIMA! Ebony Board, Flametop, CRIMSON SERIES! 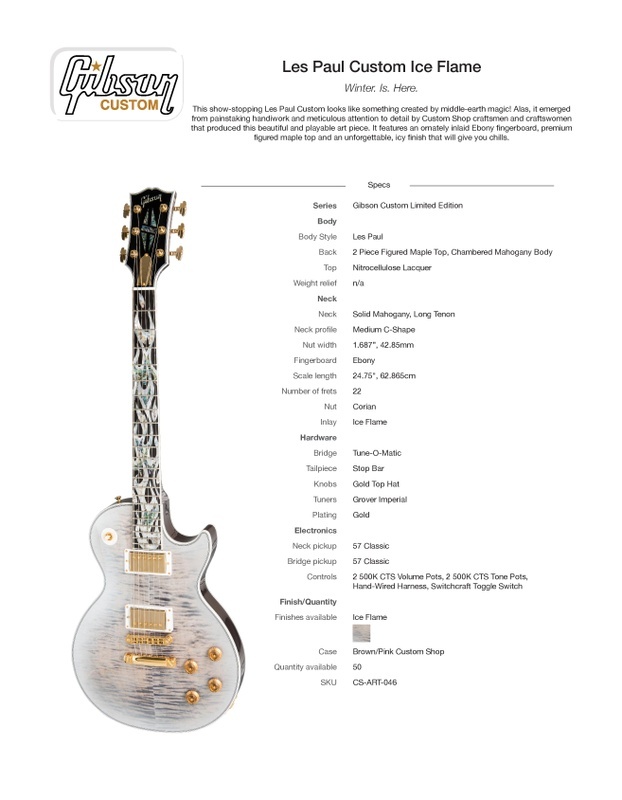 2018 Gibson ICE FLAME Custom Shop Les Paul! Beautiful and rare guitar! 8.3 lbs! Solid Ebony Fingerboard, extensive flame fretboard inlay with mother of pearl and abalone, beautiful finish, great top, great flamed maple neck, etc... Beautiful tight-flame top. A sweet guitar that plays and sounds excellent. The guitar is mint, unplayed with original hardshell Lifton-style case, COA, paperwork, Original Shipping Carton, etc..!